Sony has updated their popular RX0 action camera. The Sony RX0 II gains an important feature for vloggers. There’s now an adjustable LCD screen that can tilt upwards 180 degrees enabling you to create the perfect selfie video. The new version also gets you 4K internal video recording. The Cyber Shot RX0 II shoots video with its ZEISS Tessar T* wide angle lens. The footage you can make with such a small sized camera is simply stunning. It weighs just 132g and can go head-on with the latest GoPro, being waterproof, dustproof, shockproof and crushproof. The Sony RX0 II is priced above the typical GoPro. The 180° tiltable LCD screen and mic-in jack make it a perfect choice for vloggers. 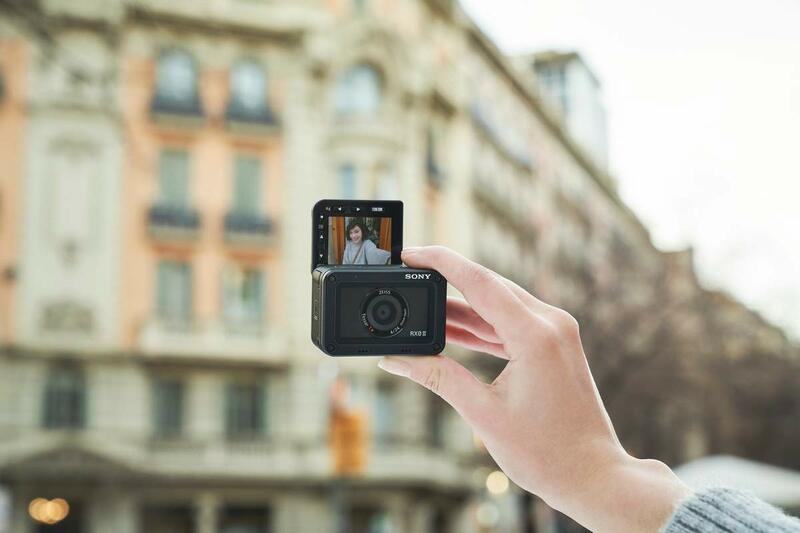 It’s a premium grade 4K video camera that is so tiny and light you can take it anywhere, easily. The RX0 II is now available worldwide for about $698. You can buy it on Amazon via the link below. It’s also available in a ‘vlogger bundle’ which adds a camera grip for the better point-and-shoot action.